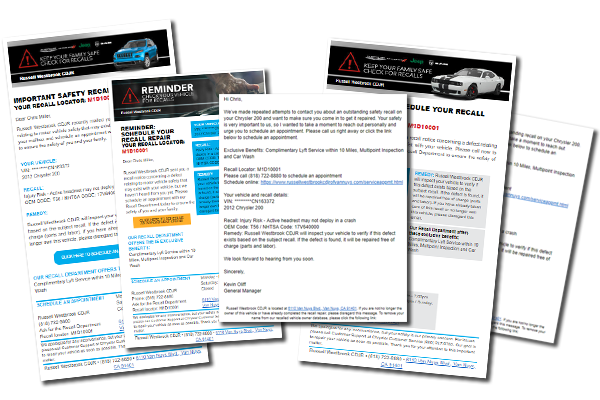 For less than the cost of one full-time employee, Recall Masters will place all the data, technology and communications in place to build your Recall Department deliver the most comprehensive recall solution in the automotive industry. 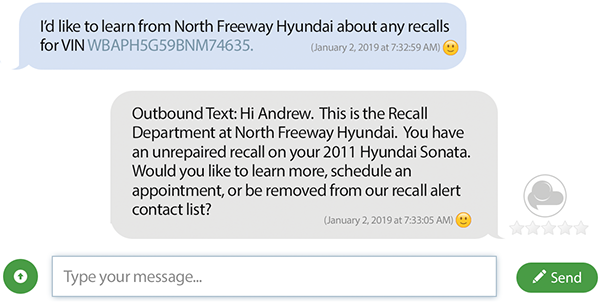 The hub of success is our Recall Department Call Center services, which delivers targeted outbound communications and fields all inbound inquiries from consumers facing a recall on their vehicle. Our skilled and knowledgeable agents not only serve as your “virtual recall department” call center with dealer-branded greetings, they’ll patiently work through all consumer concerns, review details of the recall, share dealer amenities that persuade owners to bring in their recalled vehicles and even schedule the service appointment (where applicable). With a single interaction, our team carries these consumers from being leery and uninformed to being secure in the knowledge that your organization is here to help. Liberate your BDC from these lengthy calls by letting Recall Masters build and staff your Recall Department. Let’s face it – mailing out recall notices, on its own, won’t be enough to solve the recall crisis. Consumers are busier than ever, which makes it even more difficult to reach them, much less have them take action on a recall notice. Recall Masters has engineered a better solution. 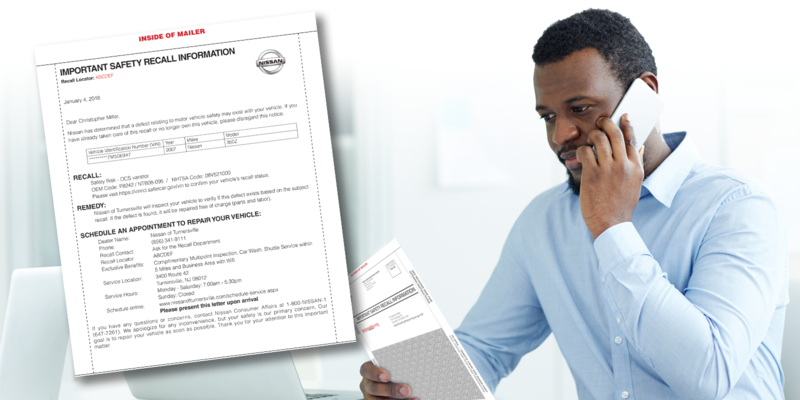 Our best-in-class data enables us to identify vehicles and the contact information for current owners facing a recall. Our award-winning communications enable us to send out multiple communications touch-points across multiple media channels. Still, these components can only carry consumers part of the way down the path to recall compliance. This is where our Recall Department Call Center services takes the reins. That initial interaction between your dedicated Call Center team and a consumer is the “make-it-or-break-it” moment – that single point of contact where a consumer decides to take action or to put off the repair. 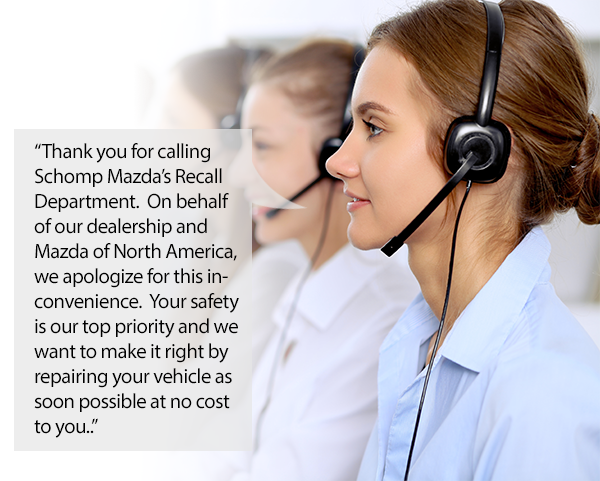 Our Call Center services understand the critical nature of this moment, which is why we provide the tools and information that enable them to answer all inquiries related to the recall and to secure the service appointment for recall repair. If that isn’t accomplished with a single point of contact, the chances of getting that vehicle owner into your service lane drops dramatically. With Recall Masters, you’ll see 5X more service appointments than if you relied only on the factory or went it alone. All campaign elements are branded, from the print/electronic/SMS text communications and recall department webpage to the way our Call Center agents answer the phone. We want you to get all the credit for placing vehicle safety at the forefront of your commitment to the community. Consumers also want the experience to feel personalized, connecting with a local dealer that will also provide the necessary repairs. Depending on the amount of recalls and the inquisitiveness of the vehicle owner, some calls can take as long as 18 minutes to resolve. Rather than field these calls in the dealership, let our Call Center agents provide a seamless connection to recall information, your dealership’s services and appointment scheduling. One call does it all! 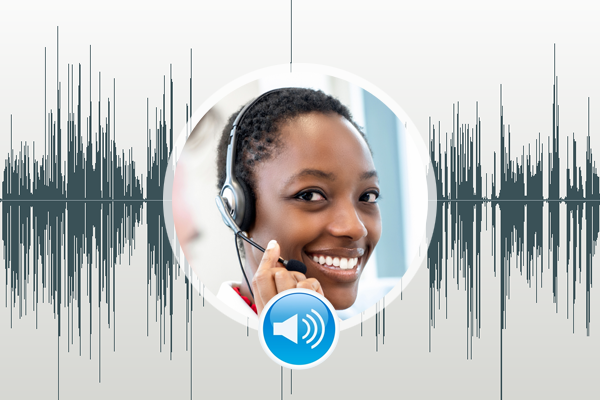 Click on the graphic to the right to listen to a sample interaction between a consumer and our Call Center. Dealer and consumer identities have been edited in order to preserve anonymity. Once we’ve secured the data, we’ll begin an orchestrated communications campaign that drives consumer action. Each touch-point is delivered through a variety of channels and cadenced to support an escalated message of urgency. All communications point back to the Call Center, where agents can easily identify the campaign call-in phone number, answer with your dealer-branded greeting and commence an efficient process towards a scheduled service appointment. In a 2018 survey regarding vehicle recalls, 81% of consumers stated that they intended to take action within 6 months following notice of a potential safety risk. However, recall completion rates are significantly less, hovering around 31%. Somewhere, there’s a disconnect between what consumers intend to do and their actions. We need consumers to participate in the process. When we launched Call Center services, it was clear that moving consumers to take action required multiple touch-points and that critical messages needed to be delivered across different channels – phone, text, email, postal delivery and chat. Recall Masters enables your dealership to connect to consumers through cost-effective call center services, using tools and technology to deliver results. And, the best attribute for your dealership, is that you won’t have to do any of the heavy lifting. Leave it to our Call Center services team!